Media release: Sparkling Prosecco Events bubbles into Edinburgh, with fizz galore! PROSECCO Events UK are delighted to present their ‘Sparkling Prosecco Event’, featuring unbridled pleasure in the form of more than 20 different types of Prosecco, Champagne and a fabulous range of cocktails that will really tickle your taste buds. The ‘Sparkling Prosecco Event’ takes place at Musselburgh Racecourse on Friday the 6th and Saturday the 7th of April, 2018. There are three sessions to choose from: one on the Friday between 6.30pm and 11.00pm and two on the Saturday, 12 noon – 5.00pm and 6.30pm – 11.00pm. And for those of you looking for something a little bit different, we’ll also be providing a Gin Bar, featuring an incredible range of quality gins and gin-based cocktails – plus a range of craft ales. And not forgetting the designated driver or, indeed, for those not wishing to imbibe, there will be soft drinks and mocktails available. 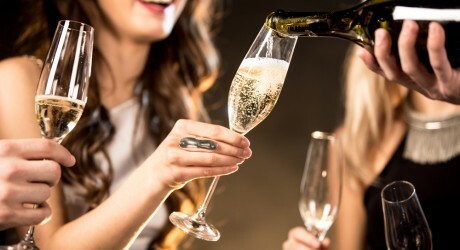 The ‘Sparkling Prosecco Event’ is not to be missed and what a perfect way to meet up with your friends and have a fantastic time with a real difference! And as an added bonus you first glass of prosecco is FREE! Buy your tickets at http://proseccoeventsuk.com/ and watch @proseccoeventsuk on facebook for the latest news. MEDIA RELEASE issued by GRM. You too can share your stories (aka press or media releases), on this site. Email here for more information.